GoXtra News: Uyanda Mbuli's Auction On Tuesday Cancelled, Court! Uyanda Mbuli's Auction On Tuesday Cancelled, Court! Uyanda Mbuli is INTERDICTED and RESTRAINED from attempting to sell the property! 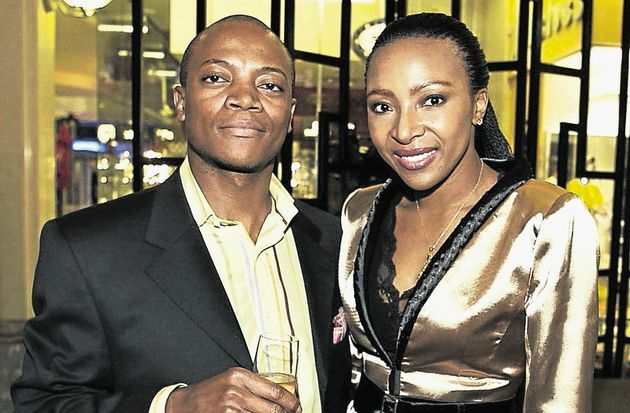 Sisa Mbuli has obtain an order from the Johannesburg High Court on Wednesday to prevent Uyanda and Aucor Properties from auctioning their "used" to be matrimonial home in Midrand, Kyalami Estate, Gauteng. In his application Sisa said: "My home and primary residence is due to be sold against my will and without my consent on Tuesday 16 February 2016 by the second respondent (Aucor) in terms of a purported mandate by the first respondent (Uyanda). "Accordingly I seek an order, inter alia, interdicting the auction of the immovable property situated (full address withheld), Kyalami Estate, Midrand, scheduled to take place on 16 February 2016 qt the Hyatt Hotel, 191 Oxford Road, Rosebank at 12:00 pending the final determination of proceedings to be instituted by me compelling and directing the first respondent (Uyanda) to sign all of the necessary documentation to give effect to the transfer of the property to me..."
Stating their BACKGROUND as per the court documents Sisa said the first respondent was his ex-wife. "On 24 February 2015 the respondent and I were divorced by an order of the Honourable Court (Details attached with documentation). 2. Pending the final determination of the proceedings to be instituted by the applicant against the first respondent to sign all documentation necessary to effect transfer of the immovable property situated at (address withheld), Kaylami Estate, Midrand into Sisa's name. 2.2. Without derogating from the generality of the aforesaid the sale scheduled to take place on Tuesday 16 February at the Hyatt Hotel, 191 Oxford Road, Rosebank at 12:00 is cancelled. The court papers seen by GoXtra News, further stated that the first respondent (Uyanda) is to pay the costs of the application. Costs are sought against the second respondent (Aucor) in the event of it opposing this application. Further and/or other relief.